About Nadine | Nadine Dereza is an award winning journalist, experienced business presenter, conference host and co-author of 'Insider Secrets of Public Speaking'. | Nadine Dereza is an award winning journalist, experienced business presenter, conference host and co-author of 'Insider Secrets of Public Speaking'. Nadine is an award-winning journalist and presents business, news and entertainment programmes on TV and radio. Nadine currently presents CNBC’s Internet of Things: Powering the Digital Economy – a technology programme investigating how digital innovation is reshaping industries. She also facilitates and hosts conferences, panel discussions and live events for a diverse range of clients across many sectors in the UK and abroad. Nadine has presented for Associated Press, BBC, CNBC, CNN, SABC, Simply Money, Sky TV, Summit TV and Talk Radio. With an in-depth knowledge of business and finance, Nadine was named as ‘Financial Journalist of the Year’ during her time at the Financial Times and Summit TV. Over the years, she has worked with the full business spectrum – from entrepreneurs to CEOs and management teams of the FTSE 100 / Fortune 500, and has also interviewed key global players including Kofi Annan, Condoleezza Rice, Gerhard Schröder, Anders Fogh Rasmussen and Ban Ki-moon to name but a few. Nadine is knowledgeable on many topics including apprenticeships, automotive, banking & capital markets, chemicals, communications, construction, creative, eCommerce, education, energy, environment, financial services, food & drink, IT, logistics, media, pharmaceuticals, sustainability, technology, textiles and transport. Department for Business, Innovation and Skills appointed Nadine as a Non-Executive Director of the WorldSkills London Board. This was for the duration of the ‘Skills Olympics’ 4-year project to promote best practice apprenticeships and vocational training. Nadine played an integral role in changing the way apprenticeships were perceived by pupils, parents, teachers, employers and policy makers in the UK, and she helped lay the foundations for ‘The Skills Show’. A big thank you for so expertly chairing and facilitating our CIA Brexit conference. 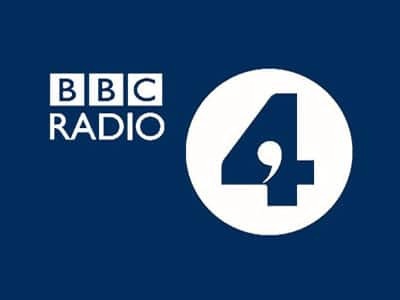 The feedback has been very positive and we were all particularly impressed by the sharpness of your questions and ability to engage all the speakers and the audience. Click here to find out how why Nadine works with a variety of clients, production companies and speaker agencies. 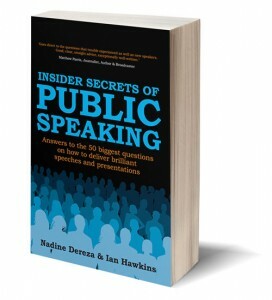 Insider Secrets of Public Speaking is available from Amazon for shelves and eReaders. “Practical and powerful advice” from the authors, Nadine Dereza & Ian Hawkins. The 5-star rated best seller Insider Secrets of Public Speaking will tell you how to express yourself with confidence and authenticity, without sacrificing your individuality, whatever the occasion and whoever you are. You can also submit your enquiry by clicking here to fill in the online contact form.